My post last week on not selling price elicited a number of comments on another LinkedIn group. Really, I don’t mind being told that I am wrong (I am married, after all). But it is a lot easier when I am actually wrong. Selling isn’t easy. Selling the value you create is difficult because selling is difficult. Ultimately, whether or not you sell price is greatly impacted by what you as a salesperson do to create value for your dream clients. Wrong! . . . Selling is easy when you know how and then it becomes a numbers game. More precisely, the more people you ask, the more people say yes. I have written about how wrong the idea that activity by itself is enough here, here and here. There is no part of modern, business-to-business sales that isn’t difficult. It is wrong to pretend that activity by itself will lead to success, even though it is necessary. 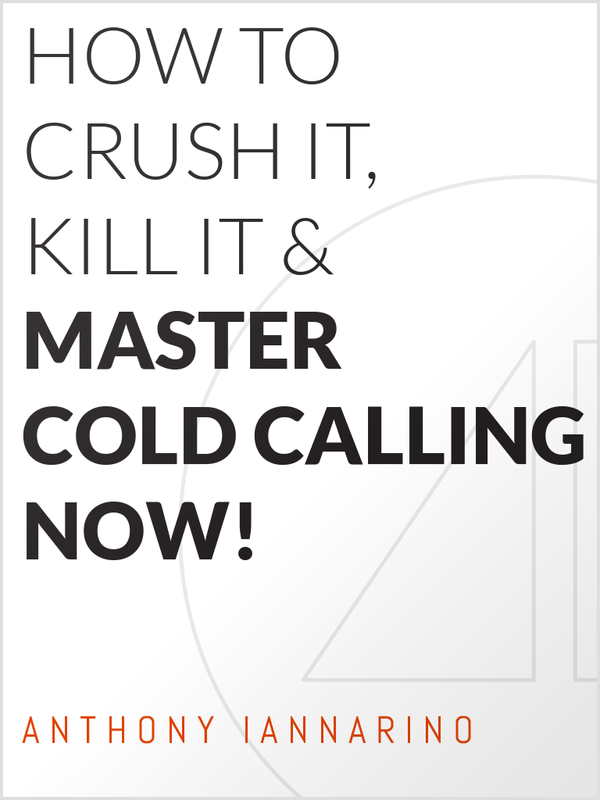 Selling begins with prospecting, which includes many of the activities that salespeople are reluctant to perform and even more reluctant to gain any real competence in or mastery of, especially cold calling. Why? Because it is difficult to differentiate yourself and your company, capture your dream client’s attention, and create enough of value to obtain a commitment during a telephone call. Prospecting is made more difficult because your market is crowded, and many of your competitors are also calling your dream client–without differentiating themselves or creating any value that is worth your dream client’s limited attention. Guess who has a tough time distinguishing you from all of the calls that came before yours? It is simple to pick up the phone and dial. It is difficult to prospect well. After you get in front of your dream client (which was simple, right? ), you have to work to understand their needs and how you can best help them to achieve the outcome they need. This requires that you ask questions that uncover their dissatisfaction, without simply looking at them through your own solutions. It also requires that you understand the ground truth, the dissatisfaction that exists levels deep, including the politics, the silos, and the resistance to change that may prevent you from helping your dream client get better results. Sounds easy, huh? And remember, while you are doing your discovery, you have to be certain that you are influencing every contact on the buying committee to choose you later by making these value-creating interactions for them—even when they are resistant to change. Simple! It is simple to ask your dream client a bunch of questions. It is difficult to do the kind of need analysis that requires that you ask the difficult questions that define and differentiate you as a professional salesperson and that uncover what is really necessary to help your client achieve their goals. Asking questions is easy. Diagnosing an organizations dissatisfaction in a meaningful way is more difficult, especially if you believe that you are doing so in a way that creates value for your dream client as well as helping you to later present your solution. Moving a deal through your pipeline means asking for and obtaining a series of commitments. What could be easier, really? On every sales call and during every interaction, you must create enough value to deserve to obtain a commitment that you are certain moves you closer to a deal. You are going to have ask for commitments to gather information, information that, in many cases, includes some that your dream client has to work to obtain for you. You are going to have to gain access to stakeholders throughout your dream client’s company. You are going to have to have to gain all kinds of commitments in order to advance your deal. A failure to obtain a commitment during any stage can result in your deal stalling. Worse still, it can result in you losing the deal altogether. As your deal progresses, you are going to have to tell your story and present your solution. You are going to present to a boardroom full of people around a big table, some of whom you may have never met. You will have no idea what they hope to see and hear or what their vision of the right solution looks like. This is true even when you have done a great job gaining access to stakeholders throughout the organization and worked to build a story with them. You have no idea what they liked about those that came before you, what they will like about those that come after you, or what will be said as soon as you pack up your projector and leave. And you have no idea who else might influence the deal in ways that you had no way to anticipate. Presenting your story and a great solution is difficult. Acquiring all of the buying committees votes is no easy task, either. Only one of the presenting organizations will win the deal, even when they all have good solutions. Eventually, you have to move your redlined contract (or theirs) through their legal department and your legal department. The boys and girls in legal ain’t exactly known for their speedy turnaround time on contracts. That means you have to take actions that get them to move it, or you have to ask your dream client to intervene. Then there is the money. Even when you have proven your solution is right, you are going to have to deal with the financial investment you are asking your dream client to make. It’s almost certain that there will be negotiations, some more difficult than others, and some that will make your execution more difficult. These are just a few of the stages and moving pieces that a professional B2B salesperson has to navigate, and I could go on for days. There is nothing easy about selling, and every stage comes with challenges and difficulties. Because something is simple doesn’t mean it isn’t difficult. Activity by itself is no longer enough to enable your success. Instead, you have to focus your efforts and your energy on improving your effectiveness. Zig Ziglar says that you can have anything you want in life by helping others get what they want. That statement is as true now as it ever was. What has changed is what it now takes to help them get what they want. Being an effective, professional salesperson is more challenging now than ever. There are no easy answers, and success means focusing on continually improving and sharpening your skills and attributes. Is selling easy? Why do some underestimate what it takes to really succeed in sales today? What makes selling difficult? What part of selling is more difficult than others? What are the fundamentals that can make selling less difficult? Do you sometimes underestimate the challenges to selling well?